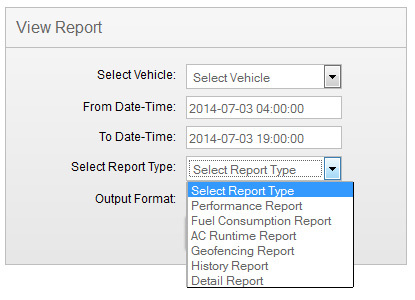 Click on 'View Reports' menu at top. 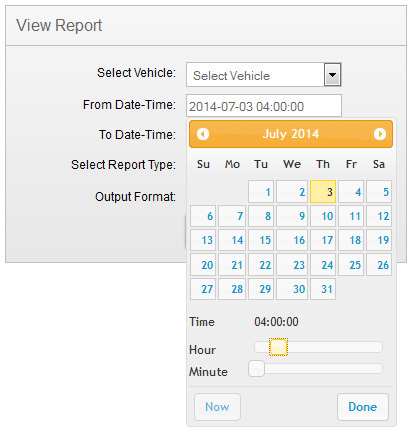 Now Select Vehicle, From Date-Time and To Date-time for which you want to generate report. 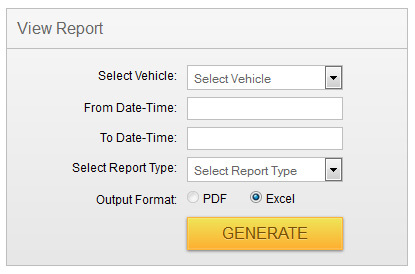 Now select the report type which you want to generate and click 'GENERATE' button.